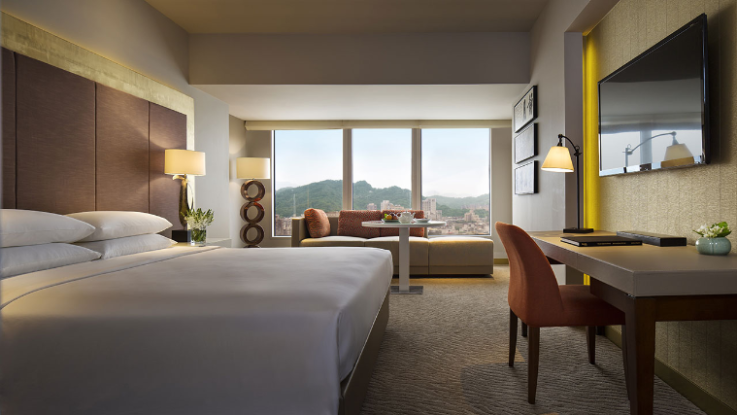 Grand Hyatt Taipei hotel is the city’s most prestigious venue for meetings, conventions, conferences, weddings, banquets, theme parties and special events. The hotel has 13 versatile meeting rooms, including a magnificent pillar-free Grand Ballroom and the grand residence, Taipei’s unique residential-style multi-event venue. All are professionally equipped and the hotel can host any event, from a private business meeting for eight to a large convention for 1,200 people. Meeting participants at all venues also enjoy Grand Hyatt Taipei’s Coffee Bar, where the coffee break has been redefined with a wide selection of beverages and snacks served in a casual, café-like atmosphere. Multi-functional meeting rooms are also available in the hotel’s Business Centre and Grand Club. 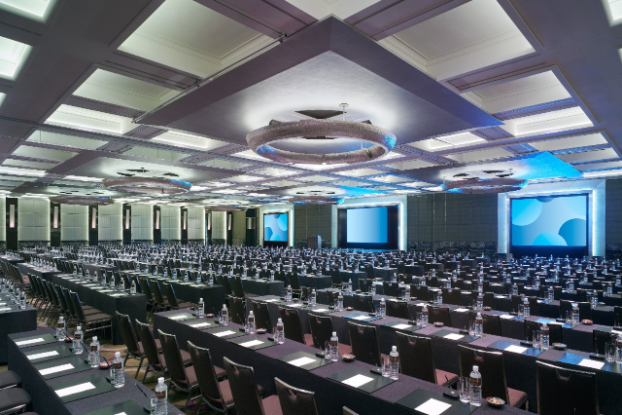 Each meeting or event is considered a priority and Grand Hyatt Taipei works with Staging Connections to provide a full event service that includes the latest audiovisual and communications capabilities, a full complement of meeting aids and technical assistance. A technology butler is also on hand to ensure that everything runs smoothly. A dedicated team provides outstanding service to both small and large groups, coordinating every aspect of an event, including accommodation, turndown amenities, transportation, billing, check-in and -out, food and beverage requirements, and audiovisual needs. With over 20 years’ experience, the Convention Services Team at Grand Hyatt Taipei is the most experienced of any hotel in Taipei. Personalised planning and attention to detail are the hallmarks of Grand Hyatt Taipei, where the events and convention service specialists, as well as a meeting concierge, are on duty round the clock, and focus on making your event a grand success through quality service and flawless execution. Taipei’s business elites have long appreciated the hotel’s magnificent spaces and services. For meetings, events and functions, Grand Hyatt Taipei is a premier venue combining professional assistance with the unique Hyatt touch.